Between showings for PlayerUnknown's Battlegrounds and Pillars of Eternity II: Deadfire, you'd be forgiven for missing indie developer Chucklefish's Wargroove at PAX East 2018. Tucked away at Xbox's booth toward the expo hall's north lobby, the game only drew a small crowd at a time. But Wargroove was easily the convention's hidden gem. 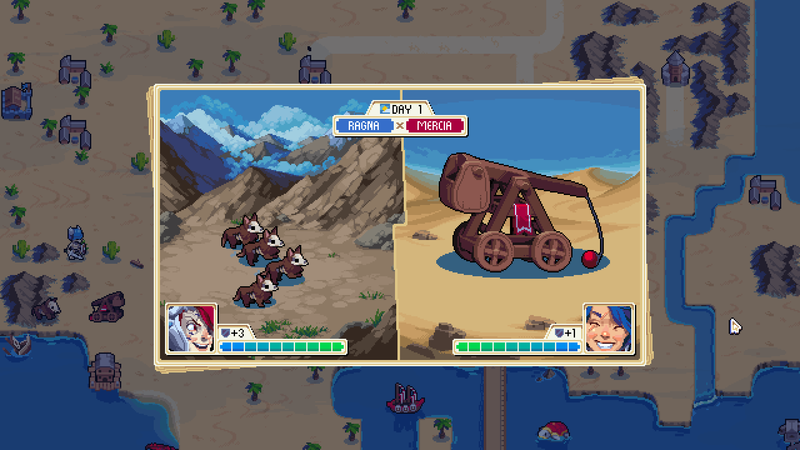 Wargroove puts players in control of a fantasy medieval army led by a "Commander." Serving as the player's in-game avatar, Commanders are durable units that can withstand enemy attacks while dealing plenty of attack damage of their own, and their special abilities, called "grooves," make them invaluable on the battlefield. Case in point, Mercia can use her groove to heal nearby friendly units, and Valder can raise units from the dead, making him an invaluable choice for reinforcing a player's army. Alongside the Commander, players build an army by recruiting one unit per turn with their Barracks. The Barracks can create anything from simple infantry units to complex and powerful creatures like giants, but you'll need to choose wisely between dogs, soldiers, spearmen, archers, and other troops in order to create a balanced front. Focusing on too many archers, for instance, will limit players' ability to withstand attacks from dogs and spearmen. 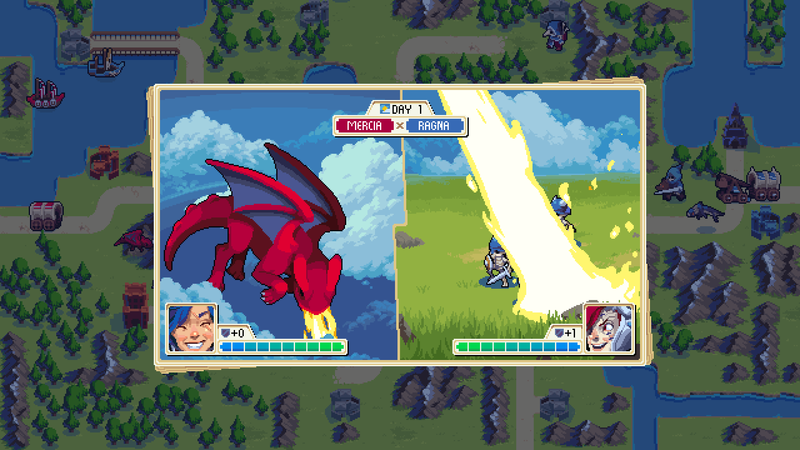 The goal behind Wargroove varies from map to map, but in PAX East 2018's demo, the game tasked players with hunting down and killing the opposing team's Commander. Meanwhile, the enemy will try to do the exact same to you, too. But that's just Wargroove's overarching victory condition. There's a lot more that goes into the game. In Wargroove, units are purchased through gold, which is acquired by capturing Hamlets. That means that, during battle, the game becomes an endless dance between offense and defense, with players moving their units across the map to take away the enemy's Hamlets and Barracks while simultaneously preventing their own structures from being razed. That's because Hamlets serve as the player's economic backbone, and without a Barracks, no one can protect the Commander from being surrounded and killed. When I played the PAX East demo, I was dropped into a desert landscape and matched up against a nature-based Commander named Greenfinger. During the demo, Greenfinger had a one-turn advantage over me, which meant my army wasn't quite as strong as his own. Every time I built a unit, he had one extra on his side, which played a huge difference on the battlefield. Without much experience, it wasn't easy going against Greenfinger. He quickly crossed the river leading to my southern Hamlet and began laying siege on the structure. While I was able to hold his units off for a time, it was clear the battle's tide was turning in his favor. My units crumbled against his mages, and my own Commander, Mercia, had less than 10 percent health left by the time I pushed off the assault. I had to drag her back to my Barracks via a wagon just to save myself from an inevitable defeat. Chucklefish touts Wargroove as "extremely easy to pick up" and designed "with accessibility at the forefront." That may be a bit of a stretch: My Wargroove playthrough wasn't easy, and the game's moderator said he had only seen one player beat the demo by PAX East's third morning. Winning isn't easy in Wargroove, but it never felt like the game held me back from victory. But Wargroove certainly is approachable, and the game's simple mechanics make it incredibly fun to play. The Barracks gives players concise and comprehensive advice on each unit, and troops' roles are based on tried-and-true categories, like archer units or mages. Hovering over an enemy before an attack shows the percentage of hit points an engagement will knock off, leaving less guesswork to players and more time to plan their long-term strategy. Even the game's art style plays a part: Each unit has a distinct look, making it easy to separate a soldier from a knight and a Commander from their troops. 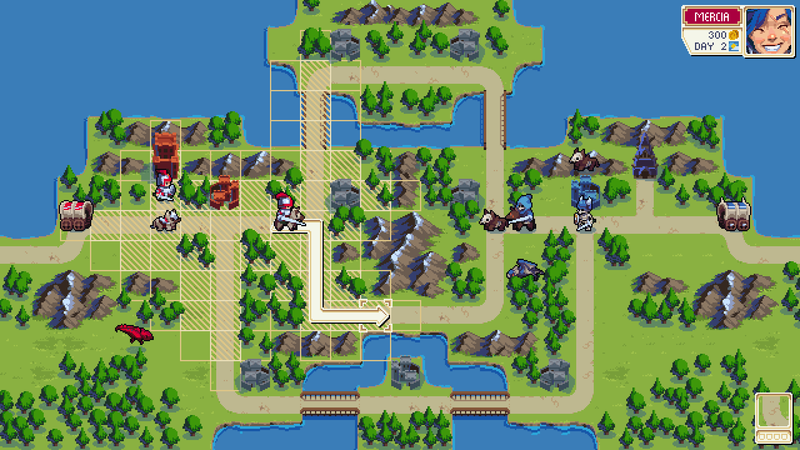 For a tactical strategy title inspired heavily by Advance Wars' unit management and Fire Emblem's avatar system, Wargroove blends both games' genres incredibly well. Sure, winning isn't easy in Wargroove, but it never felt like the game held me back from victory. I knew if I played a little longer, if I thought about my strategy a little harder, I could defeat Greenfinger. Find out for yourself once Wargroove lands during 2018's second half on PC, Nintendo Switch, PlayStation 4, and Xbox One.